Dreamcatchers is a group member of ISPA and is a group of eminent skydivers, sports personalities and enthusiasts from various walks of life with an aim to promote extreme adventure sport of Skydiving and Parachuting in all its forms, with a primary objective to avail these sports to common man with the most contemporary safety standards incorporated, which are today accessible only to elite section of our society. Skydiving in India is no longer a dream or just one of the items in your bucket list. Yes, you read it right. You need not to travel all the way to abroad to feel that adrenaline rush. If anyone has to see, feel and realize, how incredible our country is , then there can't be better way of doing it other than Skydiving !! Dreamcatchers conduct skydiving camp in India on monthly basis in various parts of our country. 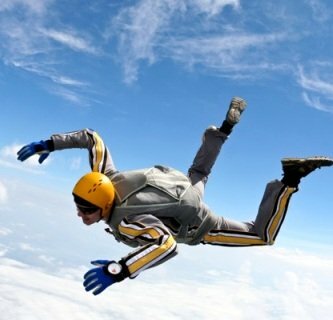 Skydiving season is mainly from September end to April end, which can vary depending on weather conditions.